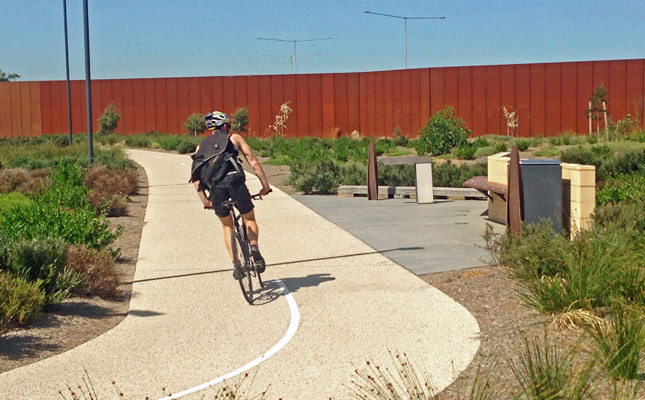 A new ‘linear’ park on port land running parallel to Todd Road has been created, linking the bay foreshore through to Westgate Park. This shared landscaped pathway features drinking fountains, seating and earth mounds set amongst native plants. A final section is due for completion in November creating a continuous pathway running from the Yarra River near the West Gate Bridge, through Westgate Park along Todd Road, joining with Perc White Reserve and the Webb Dock trail to the new observation platform at Webb Point.